Outgoing Chief Justice Saqib Nisar: cultivated a high profile, launching multiple inquiries aimed at reforming public institutions and going after political leaders. Pakistan swears in a new chief justice today, opening the next chapter for the Supreme Court which has pursued an expansive agenda that has ranged from ousting a prime minister to pressing authorities to improve the public water supply. Outgoing Chief Justice of Pakistan Saqib Nisar cultivated a high profile, launching multiple inquiries aimed at reforming public institutions and going after political leaders, attracting both praise for cracking down on abuse and criticism that he was exceeding the court’s role. His successor, Supreme Court Justice Asif Saeed Khosa, has a taste for literary quotation but is otherwise considered a more classical judge, preferring to stay out of the limelight. “I think Justice Khosa’s tenure will be substantially different,” said Saroop Ijaz, a lawyer for Human Rights Watch (HRW), who has been critical of Nisar’s activist court. In one of its best-known judgments, the Supreme Court removed three-time prime minister Nawaz Sharif from office in July 2017 and ordered a corruption probe into his assets that led to Sharif being given a seven-year jail term in December. 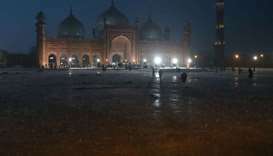 The court enraged hardline Islamists last year by overturning the conviction of Asia Bibi, a Christian woman condemned to death for blasphemy against Islam. 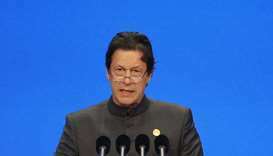 However, it has also used so-called suo motu provisions in Pakistani law that allow the court to open cases on its own initiative to set its stamp on wide swathes of public life and denounce the failure of public institutions. 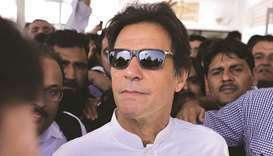 It has ordered inquiries into issues ranging from payments to farmers by powerful sugar mills to milk prices, city water supplies and corruption allegations against managers of the railways and national airline PIA. However, the outgoing chief justice’s activism did little to drain the backlog of more than 40,000 cases at the Supreme Court and a staggering 1.9mn combined cases pending in other courts. 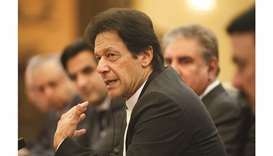 Legal scholar Osama Siddique, an associate fellow at the Institute for Development and Economic Alternatives in Lahore, said that the judiciary faced “a highly problematic period at multiple levels”. 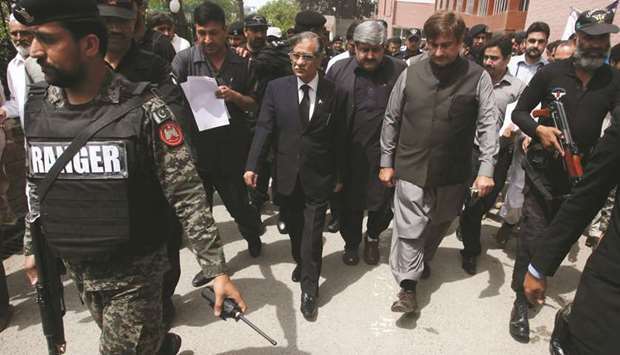 “Chief Justice Saqib Nisar’s entire emphasis was on other institutions and how they should improve their governance, but he did not do anything to improve the governance and internal administration of the judiciary,” Siddique said. At a farewell for his predecessor yesterday, Khosa said that he would “prefer to be correct rather than erratic and popular”. Cutting the backlog would be among the priorities during his tenure, alongside ending “unnecessary delays in judicial determination”. He added that he would use suo motu powers “very sparingly”. Nisar’s high media profile has drawn parallels with Iftikhar Chaudhry, a chief justice who initially won plaudits for helping oust military ruler General Pervez Musharraf in 2008, but was later criticised for overstepping his constitutional remit. Nisar himself has said his suo motu cases and frequent public appearances to inspect development projects and facilities such as schools and hospitals were aimed at protecting the poor. Allies of Sharif say his assertiveness served the interests of Pakistan’s powerful military and hinted at a return to the past, when they say judges cut politicians down to size at the behest of the generals. 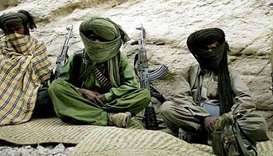 The military, which has ruled Pakistan for nearly half its history since independence in 1947, denies involvement in domestic politics. 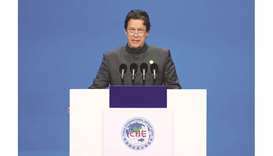 However, Sharif’s removal and the defeat of his Pakistan Muslim League – Nawaz (PML-N) party in a general election last year led to the appointment as prime minister of Imran Khan, a cricketer-turned-politician seen by analysts and opposition politicians as close to the military. The new chief justice, who will hold office for 11 months, stressed that the military should not overstep its role, saying that civilian supremacy was essential in a democratic system. “Let us also discuss, without mincing words or feeling shy, the role of the armed forces and the intelligence agencies in the governance paradigm,” Khosa said. However, he has a tough task to reform Pakistan’s sluggish judiciary. Literary flourishes apart, Ijaz said that Khosa’s record suggested he would adopt a much lower profile than his predecessor. Outgoing Chief Justice Nisar hangs his robes after 20 months. Eight judges of the apex court will become chief justices. As per the 1996 Supreme Court judgment in the Al Jihad Trust case, the senior-most judge automatically stands elevated as the chief justice and is formally sworn in as such after the superannuation of the incumbent chief justice. Neither the president nor the prime minister has any role in the appointment of the chief justice, although the president is responsible for issuing the notification for the appointment, and administers the oath of office. The seniority of the judges is counted from the day of their induction into the respective superior courts. In the case of the Supreme Court justice, it begins the date of their elevation, which, in fact, is a new appointment. A judge may be senior to another justice at the high court but will become junior in the Supreme Court if he is brought to it after the other. The next chief justices will remain in office for different tenures, ranging from a minimum of 11 months to a maximum of more than two years; three each hail from Punjab and Sindh, and one each from Khyber Pakhtunkhwa and Baluchistan. After incoming Chief Justice Khosa, Justice Gulzar Ahmed will be the next chief justice, who will hold the office for more than two years, till February 2, 2022. On Ahmed’s retirement, Justice Umar Ata Bandial will replace him to continue in the top position for some 19 months till August 16, 2023. Justice Qazi Faez Isa will become the chief justice after Bandial. He will serve as the Supreme Court head for over one year till October 25, 2024. Next is Justice Ijazul Ahsan, who will work as the chief justice for some 10 months till August 4, 2025. After that is Justice Sajjad Ali Shah, who will be chief justice for over two years till November 26, 2027. Then, Justice Munib Akhtar will be elevated as the chief justice, until December 13, 2028. The last and eighth chief justice from the present judges will be Justice Yahya Afridi, who will preside over the apex court until January 22, 2030.